28U & 45U Sizes - Adjustable Depth 24" - 36"
Pre-drilled Adjustable depths are 24", 26.5", 29", 31.5, 34, 36.5". 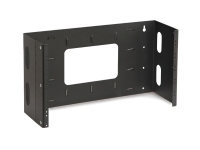 Constructed with Mounting Holes for mounting securely to floor. 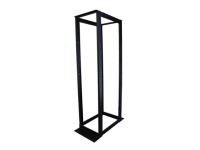 "U" shaped cage nut rail design to allow front and rear mounting of equipment. 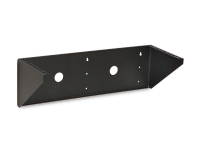 Reinforced Angled Top Brace Supports provide added load strength. 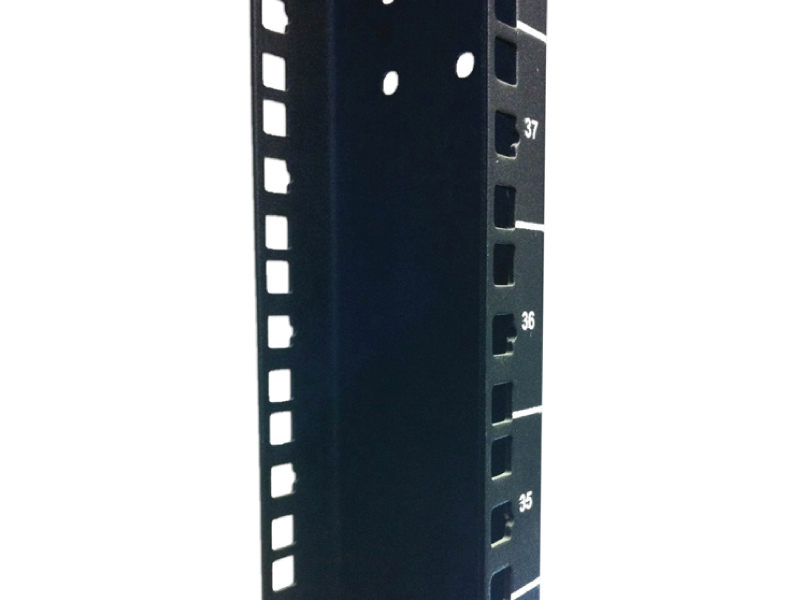 Numbered Rack Units makes it easier to configure. 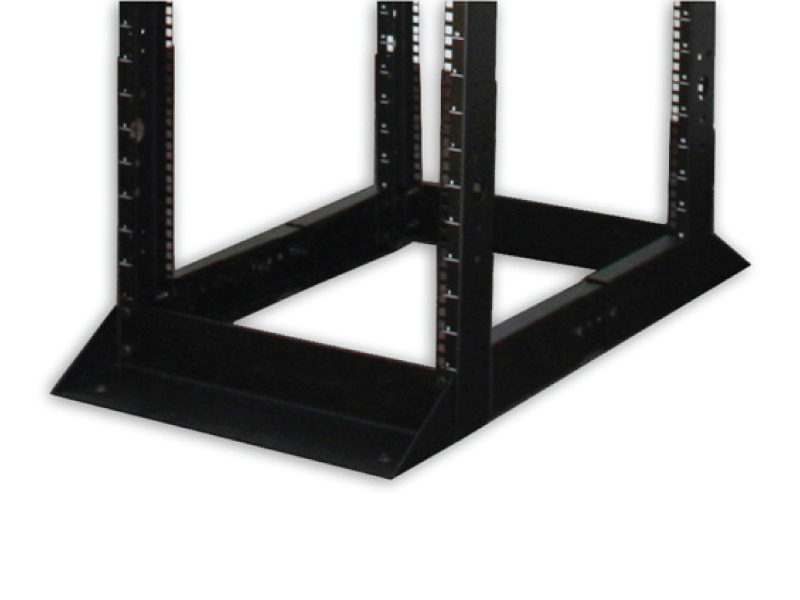 These 4-Post Adjustable Floor Mount Racks offer flexibility in mounting of patch panels, hubs, routers, telephone equipment and more. 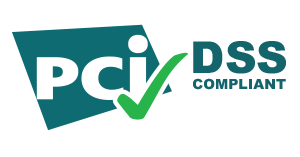 They are constructed of heavy duty steel and arebuilt with a cage nut design. 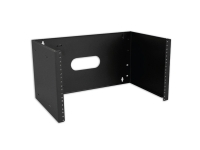 They have an adjustable depth of from 24" too 36", have a professional looking black microfinish with numbered rack units, and are available in 4ft. and 7ft. heights. 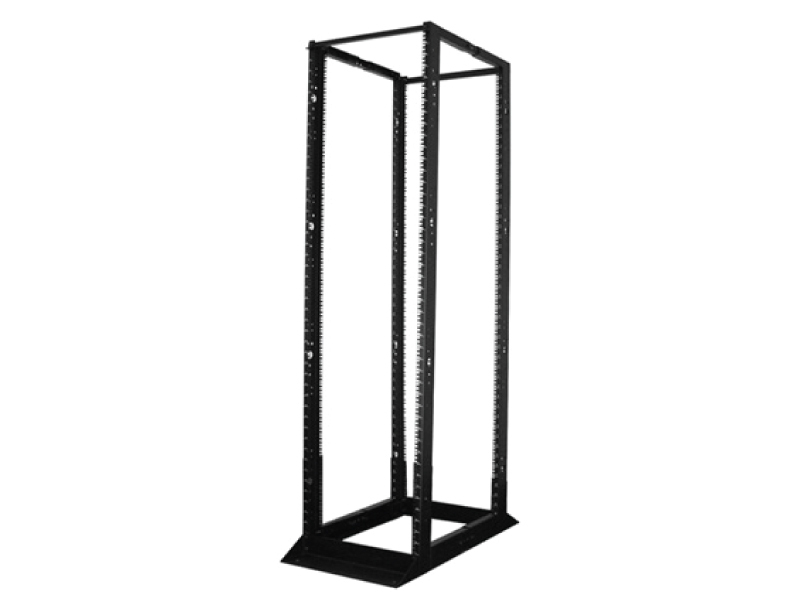 Rack Size Depth External 14" 14"